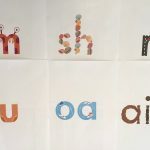 This page is an archive of one-page Briefings on special educational topics from the Macquarie University Special Education Centre (MUSEC) website between 2005 and 2018. When MUSEC was disestablished in 2018, these documents, many still useful and relevant, were set to disappear from the public domain. I thus sought and gained written permission from MUSEC staff to republish them, on the condition that they remained unaltered, and their authors and source were acknowledged. Please note that information in these briefings may no longer be current, and I cannot provide any guarantees as to the accuracy of all information, since many of the topics are beyond my professional expertise as a speech pathologist. When in doubt, please search for more recent references published in well-respected, peer-reviewed journals (try searching using Google Scholar, and/or ask a subject expert), and use your own judgement. For new briefings like these on current educational topics, try Nomanis Notes. 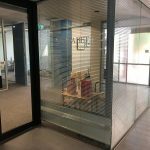 By the Macquarie University Special Education Centre, 2005-2018. Issue 40: Is it a scam? Issue 39: What is direct instruction? MUSEC Briefing 40 – Is it a scam? Jacobson, J. W., Foxx, R. M., & J. A. Mulick, J. A. (2005), Controversial therapies for developmental disabilities: Fad, fashion, and science in professional practice.(pp. 331-350). Mahwah, NJ: Lawrence Erlbaum. Simpson, R. L. (2005). Evidence-based practices and students with autism spectrum disorders. Focus on Autism and other Developmental Disabilities, 20, 140-149. Stephenson, J. (2004). A teacher’s guide to controversial practices. Special Education Perspectives, 13, 66-74. MUSEC Briefing 39 – What is direct instruction? Kirschner, P. A., Sweller, J., & Clark, R. E. (2006). Why minimal guidance during instruction does not work: An analysis of the failure of constructivist, discovery, problem-based, experiential, and inquiry-based teaching. Educational Psychologist, 41, 75-86. Rosenshine, B. (2008). Five meanings of direct instruction.Lincoln, Illinois: Centre on Innovation and Improvement. Gardner, R., Heward, W. L., & Grossi, T. A. (1994). Effects of response cards on student participation and academic achievement: A systematic replication with inner-city students during whole-class science instruction. Journal of Applied Behavior Analysis, 27, 63-71. Munro, D. W., & Stephenson, J. (2009). The effect of response cards on student and teacher behaviour during vocabulary instruction. Jounral of Applied Behavior Analysis, 42, 795-800. Apter, B. (2013). Improving working memory. Educational Psychology in Practice, 29(1), 96-97. Chacko, A., Bedard, A.C., Marks, D.J., Feirsen, N., Uderman, J.Z., Chimiklis, A., Rajwan, E., Cornwell, M., Anderson, L., Zwilling, A. & Ramon, M. (2013). A randomized clinical trial of Cogmed Working Memory Training in school-age children with ADHD: A replication in a diverse sample using a control condition. Journal of Child Psychology and Psychiatry, 42(6), 769-783. Diamond, A. (2012). Activities and programs that improve children’s executive functions Current Directions in Psychological Science, 21, 335-341. Egeland, J., Aarlien, A. K., & Saunes, B. (2013). Few effects of far transfer of working memory training in ADHD: A randomized controlled trial.PloS One, 8(10), 1-9. Gibson, B. S., Gondoli, D. M., Kronenberger, W. G., Johnson, A. C., Steeger, C. M., & Morrissey, R. A. (2013). Exploration of an adaptive training regimen that can target the secondary memory component of working memory capacity.Memory & Cognition, 41(5), 726-737. Gray, S.A., Chaban, P., Martinussen, R., Goldberg, R., Gotlieb, H., Kronitz, R., Hockenberry, M. & Tannock, R. (2012). Effects of a computerized working memory training program on working memory, attention, and academics in adolescents with severe LD and comorbid ADHD: a randomized controlled trial. Journal of Child Psychology and Psychiatry, 53, 1277-1284. Karin I. E. & Dahlin, K.I.E. (2010). Effects of working memory training on reading in children with special needs. Reading and Writing, 24, 479-491. Kasper, L.J., Alderson, R.M., & Hudec, K.L. (2012). Moderators of working memory deficits in children with attention-deficit/hyperactivity disorder (ADHD): A meta-analytic review. Clinical Psychology Review, 32(7), 605-617. Melby-Lervåg, M., & Hulme, C. (2013). Is working memory training effective? A meta-analytic review. Developmental Psychology, 49(2), 270-291. Morrison, A.B., & Chein, J.M. (2011). Does working memory training work? The promise and challenges of enhancing cognition by training working memory. Psychonomic Bulletin& Review, 18(1), 46-60. Papp, K.V., & Snyder, P.J. (2012). Editorial to accompany – Training the brain: Fact and fad in cognitive and behavioral remediation. Brain and Cognition, 79(2), 158. Pascoe, L., Roberts, G., Doyle, L. W., Lee, K. J., Thompson, D. K., Seal, M. L., Josev, E.K., Nosarti, C., Gathercole, S., & Anderson, P. J. (2013). Preventing academic difficulties in preterm children: a randomised controlled trial of an adaptive working memory training intervention – IMPRINT study. BMC Pediatrics, 13, 144-156. Rabipour, S., & Raz, A. (2012). Training the brain: Fact and fad in cognitive and behavioral remediation. Brain and Cognition, 79(2), 159-179. Redick, T.S., Shipstead, Z., Harrison, T.L., Hicks, K.L. Fried, D.E., Hambrick, D.Z., Kane, M.J., & Engle, R.W. (2013). No evidence of intelligence improvement after working memory training: A randomized, placebo-controlled study. Journal of Experimental Psychology, 142(2), 359-379. Riccio C.A., & Gomes H. (2013). Interventions for executive function deficits in children and adolescents. Applied Neuropsychology: Child, 2(2), 133-140. Shipstead, Z., Hicks, K.L., & Engle, R.W. (2012). Cogmed working memory training: Does the evidence support the claims? Journal of Applied Research in Memory and Cognition, 1(3), 185-193. Shipstead, Z., Redick, T. S., & Engle, R. W. (2012). Is working memory training effective?Psychological Bulletin, 138(4), 628-654. Takeuchi, H., Taki, Y., & Kawashima, R. (2010). Effects of working memory training on cognitive functions and neural systems. Reviews in the Neurosciences, 21(6), 427-49. Taub, G,E; McGrew, K, S & Keith, T, Z. ( 2007). Improvements in interval time tracking and effects on reading achievement. Psychology in Schools, 44,849-863. Wolgemoth, J.R., Cobb, R.B., & Alwell, M. (2008). The effects of mnemonic interventions on academic outcomes for youth with disabilities: A systematic review. Learning Disabilities Research, 23, 1-10. Corbett, B. A., Shickman, K., & Ferrer, E. (2008). Brief report: The effects of Tomatis sound therapy on language in children with autism. Journal of Autism and other Developmental Disorders, 38, 562-­¿566. doi: 10.1007/s10803-­¿007-­¿ 0413-­¿1. Dawson, G., & Watling, R. (2000). Interventions to facilitate auditory, visual and motor integration in autism: A review of the evidence. Journal of Autism and other Developmental Disorders,30, 415-­¿421. Sinha, Y., Silove, N., Wheeler, D., & Williams, K. (updated May 30, 2007). Auditory integration training and other sound therapies for autism spectrum disorders. [Cochrane Review]. In: Cochrane Database of Systematic Reviews, 2009 (1). Available from The Cochrane Library, Wiley Interscience. doi:10.1002/14651858.CD003681.pub2. Allday, R.A. (2008). Using visual strategies to improve classroom success for students with autism. Special Education Perspectives, 17, 94-109. Banda, D.R., Grimmett, E., & Hart, S. L. (2009). Helping students with autism spectrum disorders in general education classrooms manage transition issues. Teaching Exceptional Children, 41(4) 16-21. Coffield, F., Moseley, D., Hall, E., & Ecclestone, K. (2004) Learning styles and pedagogy in post-16 learning. A systematic and critical review. London: Learning and Skills Research Centre. Kavale, K., & Forness, S. (1987). Substance over style: Assessing the efficacy of modality testing and teaching. Exceptional Children, 54,228-239. Landrum, T.J., &McDuffie, K. A. (2010). Learning styles in the age of differentiated instruction. Exceptionality, 18,6-17. Pashler, H., McDaniel, M., Rohrer, D., & Bjork, R. (2009). Learning styles: Concepts and evidence. Psychological Science in the Public Interest, 9,105-119. Borman, G.D., Benson, J.G., & Overman, L. (2009). A randomized field trial of the Fast ForWord language computer-based training program. Educational Evaluation and Policy Analysis, 31, 82-106. Cohen, W., Hodson, A., O’Hare, A., Boyle, J., Durrani, T., McCartney, E., Mattey, M., Naftalin, L., & Watson, J. (2005). Effects of computer-based intervention through acoustically modified speech (Fast ForWord) in severe mixed receptive-expressive language impairment: Outcomes from a randomized controlled trial. Journal of Speech, Language and Hearing Research, 48, 715-729.
of Speech, Language, and Hearing Research, 51, 97-119. Given, B.K., Wasserman, J.D., Chari, S.A., Beattie, K., & Eden, G.F. (2008). A randomized, controlled study of computer-based intervention in middle school struggling readers. Brain and Language, 106, 83-97. Pokorni, J.L., Worthington, C.K., & Jamison, P.J. (2004). 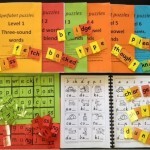 Phonological awareness intervention: Comparison of Fast ForWord, Earobics, and LiPS. Journal of Educational Research, 97, 147-157. Rouse, C.E., & Krueger, A.B. (2004). Putting computerized instruction to the test: A randomized evaluation of a ‘scientifically based’ reading program. Economics of Education Review, 23, 323-338. Strong, G. K., Torgerson, C. J., Torgerson, D., & Hulme, C. (2010). A systematic meta-analytic review of evidence for the effectiveness of the ‘Fast ForWord’ language intervention program. Journal of Child Psychology and Psychiatry, 52, 224-235. Jitendra, A. (2002). Teaching students math problem-solving through graphic representations. TEACHING Exceptional Children, 34 (4), 34-38. Jitendra, A. (2007). Solving math word problems: teaching students with leaning disabilities using schema-based instruction, Austin, TX: Pro-Ed. The Efficacy of the Cellfield Intervention for reading difficulties: An integrated computer-based approach targeting deficits associated with dyslexia. Lee-Ann Prideaux, Kerry A. Marsh and Dimitri Caplygin. (2005) Australian Journal of Learning Difficulties. 10, 2, 51-62. Kern, L., & Clemens, N. H. (2008). Antecedent strategies to promote appropriate classroom behavior. Psychology in the Schools, 44, 65-75. Wannarka, R., & Ruhl, K. (2008). Seating arrangements that promote positive academic and behavioural outcomes: a review of empirical research. Support for Learning, 23,89-93. Wheldall, K., & Bradd, L. (2010). Classroom seating arrangements and classroom behaviour. In K. Wheldall (Ed. ), Developments in educational psychology (second edition) (pp. 181-195). London: Routledge. Beaman, R., & Wheldall, K. (2010). Teachers’ use of approval and disapproval in the classroom. In K. Wheldall (Ed. ), Developments in educational psychology (second edition) (pp. 153-180). London: Routledge. Sutherland, K. S., Wehby, J. H., & Copeland, S. R. (2000). Effect of varying rates of behavior-specific praise on the on-task behavior of students with EBD.Journal of Emotional and Behavioral Disorders, 8 (1), 2-8. Hyatt, K. J., Stephenson, J., & Carter, M. (2009). A review of three controversial educational practices: Perceptual motor programs, sensory integration and tinted lenses. Education and Treatment of Children, 32, 313-342. Kavale, K. A., & Mostert, M. P. (2004). The positive side of special education: Minimizing its fads, fancies and follies. Lanaham, MD: Scarercrow Education. Department of Education, Science and Training. (2005). 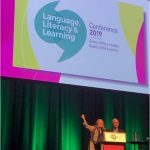 Teaching reading.Canberra: Department of Education, Science and Training. National Institute of Child Health and Human Development, NIH, DHHS. (2000).Report of the National Reading Panel: Teaching children to read (00-4769). Washington, DC: U.S. Government Printing Office. Rose, J. (2006). Independent review of the teaching of early reading: Final Report.London: Department for Education and Skills. Preston, D. & Carter, M. (in press). A review of the Efficacy of the Picture Exchange Communication System intervention. Journal of Autism and Developmental Disorders, DOI 10.1007/s10803-009-0763-y. Sulzer-Azaroff, B., Hoffman, A. O., Horton, C. B., Bondy, A., & Frost, L. (2009). The Picture Exchange Communication System (PECS): What do the data say? Focus on Autism and Other Developmental Disabilities,24, 89-103. Arendt, R. E., MacLean, W. E., & Baumeister, A. A. (1988). Critique of sensory integration therapy and its application to mental retardation. American Journal on Mental Retardation, 92, 401-411. Hoehn, T. P., & Baumeister, A. A. (1994). A critique of the application of sensory integration therapy to children with learning disabilities. Journal of Learning Disabilities, 27, 338-350. Leong, H. M., & Carter, M. (2008). Research on the efficacy of sensory integration therapy: Past, present and future. Australasian Journal of Special Education, 32, 83-99. Devlin, S., Healy, O., Leader, G., & Reed, P. (2008). The analysis and treatment of problem behavior evoked by auditory stimulation. Research in Autism Spectrum Disorders, 2, 671-680. Devlin, S., Leader, G., & Healy, O. (2009). Comparison of behavioral intervention and sensory-integration therapy in the treatment of self-injurious behavior. Research in Autism Spectrum Disorders, 3, 223-231. Vargas, S., & Camilli, G. (1999). A meta-analysis of research on sensory integration treatment. American Journal of Occupational Therapy, 53, 189-198. Apps, M., & Carter, M. (2006). When all is said and done, more is said than done: Research examining constructivist instruction for students with special needs. Australian Journal of Special Education, 31, 107-125. Hattie, J. (2009). Visible learning: A synthesis of over 800 meta-analyses relating to achievement.London, UK: Routledge. Bender, W. N. & Shores, C. (Eds.). (2007). Response to intervention: A practical guide for every teacher.Thousand Oaks: Corwin Press. Council for Exceptional Children (2008). Responsiveness to intervention: A collection of articles from Teaching Exceptional Children.Washington, DC: Council for Exceptional Children. Fuchs, L. S. & Fuchs, D. (2007). A model for implementing responsiveness to intervention. Teaching Exceptional Children, 39, 14-20. Baranek, G. T. (2002). Efficacy of sensory and motor interventions for children with autism. Journal of Autism and Developmental Disorders, 32, 397-422. Stephenson, J., & Carter, M. (2009). The use of weighted vests with children with autism spectrum disorder and other disabilities. Journal of Autism and Developmental Disorders, 39, 104-114. Kehle, T. J., Bray, M. A., & Theodore, L. A. (2000). A multi-component intervention designed to reduce disruptive classroom behavior. Psychology in the Schools, 37, 475-481. Musser, E. H., Bray, M. A., Kehle, T. J. & Jenson, W. R. (2001). Reducing disruptive behaviors in students with serious emotional disturbance. School Psychology Review, 30, 294-304. Brabham, E. G., & Villaume, S. K. (2002). Leveled text: The good news and the bad news. The Reading Teacher, 55, 438-441. Jamison, R., L, & Burton, W. (2002). Matching texts and readers: Leveling early reading materials for assessment and instruction. The Reading teacher, 55, 348-356. Pearce, S., Wheldall, K., & Madelaine, A. (2006). MULTILIT book levels: Towards a new system for levelling texts. Special Education Perspectives, 15, 38-56. Ali, S., & Frederickson, N. (2006). Investigating the evidence base of Social Stories. Educational Psychology in Practice, 22, 355-377. Reynhout, G., & Carter, M. (2006). Social stories for children with disabilities. Journal of Autism & Developmental Disorders, 36, 445-469. Rust, J., & Smith, A. (2006). How should the effectiveness of Social Stories to modify the behaviour of children on the autism spectrum be tested? Autism, 10, 125-138. Sansosti, F., Powell-Smith, K., & Kincaid, D. (2004). A research synthesis of social story interventions for children with autism spectrum disorders. Focus on Autism and Other Developmental Disabilities, 19, 194-204. Alsop, G. (1997). Coping or counselling: Families of intellectually gifted students. Roeper Review, 20(1), 28-. Retrieved November 11, 2005 from Expanded Academic ASAP database. Copenhaver, R. W., & McIntyre, D. J. (1992). Teachers’ perceptions of gifted students. Roeper Review, 14, 151-153. Davis, G. A., & Rimm, S. B. (2004). Education of the gifted and talented(5th ed., pp. 32-44). Boston: Allyn and Bacon. Gear, G. H. (1976). Accuracy of teacher judgment in identifying intellectually gifted children: A review of the literature. Gifted Child Quarterly, 20, 478-489. Jacobs, J. C. (1971). Effectiveness of teacher and parent identification of gifted as a function of school level. Psychology in the Schools, 8, 140-142. Plunkett, M. (2000). Impacting on teacher attitudes toward gifted students. Australasian Journal of Gifted Education, 9(2), 33-42. Richert, E. S. (1997). Excellence with equity in identification and programming. In N. Colangelo & G. A. Davis (Eds. ), Handbook of gifted education(pp. 75-88). Boston: Allyn & Bacon. Jacobson, J. W., Foxx, R. M., & Mulick, J. A. (2005). Controversial therapies for developmental disabilities; Fad, fashion and science in professional practice. Mahwah, NJ: Lawrence Erlbaum. Jacobson, J. W., Mulick, J. A., & Schwartz, A. A. (1995). A history of facilitated communication: Science, Pseudoscience, and Antiscience: Science working group on facilitated communication. American Psychologist, 50, 750-765. Montee, B. B., Miltenberger, R. G., & Wittrock, D. (1995). An experimental analysis of facilitated communication. Journal of Applied Behavior Analysis, 28, 189-200. Shane, H. C. (1994). Facilitated communication: The clinical and social phenomenon. San Diego, CA: Singular Press. Giangreco, M. F., & Broer, S. M. (2005). Questionable utilization of paraprofessionals in inclusive schools: Are we addressing symptoms or causes? Focus on Autism and other Developmental Disabilities, 20, 10-26. Giangreco, M. F., Yuan, S., McKenzie, B., Cameron, P., & Fialka, J. (2005). “Be careful what you wish for…” Five reasons to be concerned about the assignment of individual paraprofessionals. TEACHING Exceptional Children, 37(5), 28-34. Giangreco, M. F., Edelman, S., Broder, S. M., & Doyle, M. B. (2001). Paraprofessional support of students with disabilities; Literature from the last decade. Exceptional Children, 68, 45-63. Carter, M., & Grunsell, J. (2001). The behavior chain interruption strategy: A review of research and discussion of future directions. Journal of The Association for Persons with Severe Handicaps, 26, 37-49. Grunsell, J., & Carter, M. (2002). The behavior chain interruption strategy: Generalization to out-of-routine contexts. Education and Training in Mental Retardation and Developmental Disabilities, 37, 378-90. Hunt, P., & Goetz, L. (1988). Teaching spontaneous communication in natural settings using interrupted behavior chains. Topics in Language Disorders, 9, 58-71. Sigafoos, J., & Littlewood, R. (1999). Communication intervention of the playground: A case study on teaching requesting to a young child with autism. International Journal of Disability, Development and Education, 46, 421-29. Odom, S. L., Brantlinger, E., Gersten, R., Horner, R. H., Thompson, B., & Harris, K. (2005). Research in special education: Scientific method and evidence-based practices. Exceptional Children, 71, 137-148. Greenwood, C. R. (2001). Science and students with learning and behavior problems. Behavioral Disorders, 27, 37-52. Stanovich, P. J., & Stanovich, K. E. (2003). Using research and reason in education: How teachers can use scientifically based research to make curricular and instructional decisions(pdf). Hammill, D. D. (2004). What we know about correlates of reading. Exceptional Children, 70, 453-468. Kavale, K., & Mattson, P. D. (1983). “One jumped off the balance beam”: Meta-analysis of perceptual-motor training. Journal of Learning Disabilities, 16, 165-173. Vaughn, S., & Linan-Thompson, S. (2003). What is special about special education for students with learning disabilities? Journal of Special Education, 37, 140-147. Deno, S. L. (1985). Curriculum-based measurement: The emerging alternative. Exceptional Children, 52, 219-232. Deno, S. L. (2003). Developments in curriculum-based measurement. The Journal of Special Education, 37, 184-192. Fuchs, L. S. (2004). The past, present, and future of curriculum-based measurement research. School Psychology Review, 33, 188-192. Madelaine, A., & Wheldall, K. (1999). Curriculum-based measurement of reading: A critical review. International Journal of Disability, Development and Education, 46, 71-85. Madelaine, A., & Wheldall, K. (2004). Curriculum-based measurement of reading: Recent Advances. International Journal of Disability, Development and Education, 51, 57-82. Reynolds, M., & Wheldall, K. (2007). 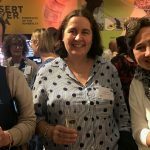 Reading Recovery twenty years down the track: Looking forward, looking back. International Journal of Disability, Development and Education, 54, 199-223. Reynolds, M., Wheldall, K. & Madelaine, A. (2009). The devil is in the detail regarding the efficacy of Reading Recovery: A rejoinder to Schwartz, Hobsbaum, Briggs, and Scull. International Journal of Disability, Development and Education, 56, 17-35. Schwartz, R. M., Hobsbaum, A., Briggs, C., & Scull, J. (2009). Reading Recovery and evidence-based practice: A response to Reynolds and Wheldall (2007). International Journal of Disability, Development and Education, 56(1): 5-15. Ardoin, S. P., Martens, B. K., & Wolfe, L. A. (1999). Using high-probability instruction sequences with fading to increase students compliance during transitions. Journal of Applied Behaviour Analysis, 32, 339-351. Davis, C., & Reichle, J. (1996). Variant and invariant high-probability requests: Increasing appropriate behaviours in children with emotional-behavioural disorders. Journal of Applied Behaviour Analysis, 29, 471-482. Lee, D., Belfiore, P. J., Scheeler, M. C., Hua, Y., & Smith, R. (2004). Behavioural momentum in academics: Using embedded high-p sequences to increase academic productivity. Psychology in the Schools, 41, 789-801. Nevin, J. A. (1996). The momentum of compliance. Journal of Applied Behaviour Analysis, 29, 535-547. Romano, J. P., & Roll, D. (2000). Expanding the utility of behavioural momentum for youth with developmental disabilities. Behavioral Interventions, 15, 99-111. Wehby, J. H., & Hollahan, M.S. (2000). Effects of high probability requests on the latency to initiate academic tasks. Journal of Applied Behaviour Analysis, 33, 259-262. Chan, S., Fung, M. Y., Tong, C. W., & Thompson, D. (2005). The clinical effectiveness of a multisensory therapy on clients with developmental disability. Research in Developmental Disabilities, 26, 131-142. Hogg, J., Cabet, J., Lambe, L., & Smeddle, M. (2001). The use of ‘Snoezelen’ as multisensory stimulation with people with intellectual disabilities: A review of the research. Research in Developmental Disabilities, 22, 353-372. Martin, N. T., Gaffan, E. A., & Williams, T. (1998). Behavioural effects of long-term multisensory stimulation. British Journal of Clinical Psychology, 37, 69-82. Stephenson, J. (2002). 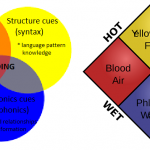 Characterization of multisensory environments: Why do teachers use them? Journal of Applied Research in Intellectual Disabilities, 15, 73-90. Withers, P. S., & Ensum, I (1995). Successful treatment of severe self injury incorporating the use of DRO, a Snoezelen room and orientation cues. British Journal of Learning Disabilities, 23, 164-167. 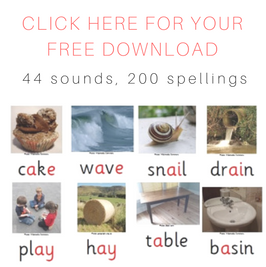 The Spelfabet shop has affordable, downloadable spelling teaching resources.